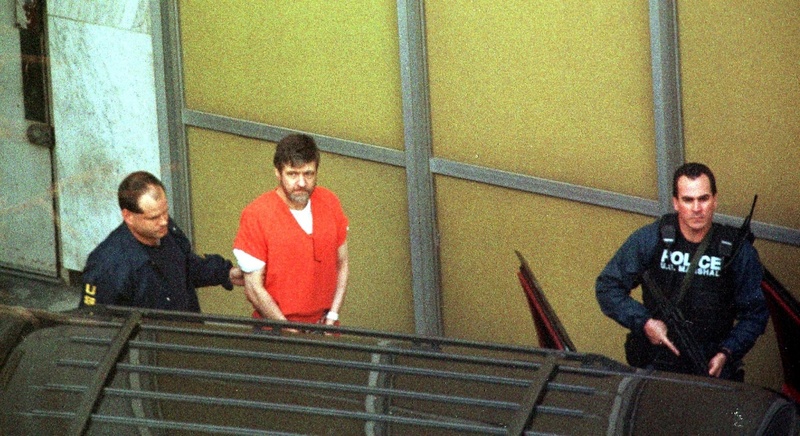 'Unabomber' Ted Kaczynski, center, in January 1998. Van Zandt is credited with helping to identify the Unabomber, who terrorized university campuses and other targets between 1978 and 1995. Police in Austin publicly asked whoever is setting the most recent bombs to contact them, hoping for more clues to work with. It was letters from the culprits themselves that helped investigators solve both the Unabomber case and the Mad Bomber case in New York City in the 1940s and '50s. Another big difference in Austin is the concentration of resources. Kaczynski carried out his bombings across the country over 17 years, while the Austin bombings have occurred in and around one city in less than three weeks. A smiling George Metesky, the "Mad Bomber," in 1957 in Waterbury, Connecticut. A "Mad Bomber" terrorized New York City for 16 years in the 1940s and '50s, until George Metesky ultimately was captured in 1957 and confessed to the crimes. Police said he planted dozens of pipe bombs in mundane and landmark places alike, including on a street near his previous employer, in a phone booth at the New York Public Library and on the lower level of Grand Central Terminal. The explosions didn't kill anyone, but they resulted in more than a dozen injuries. 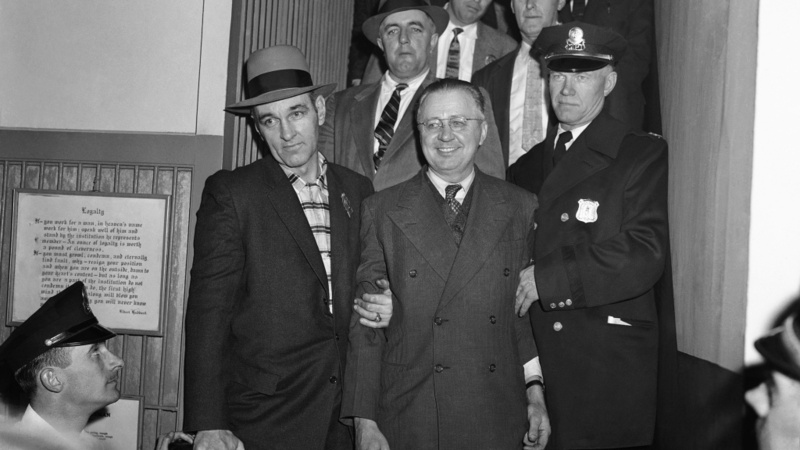 While police considered multiple theories, Metesky's bombings were eventually linked to his anger at the Consolidated Edison utility company, where he had been injured as an employee. He was found mentally unfit for trial and committed to a state institution. Ted Kaczynski, better known as the "Unabomber," is flanked by federal agents as he is led to a car from the federal courthouse in Montana. 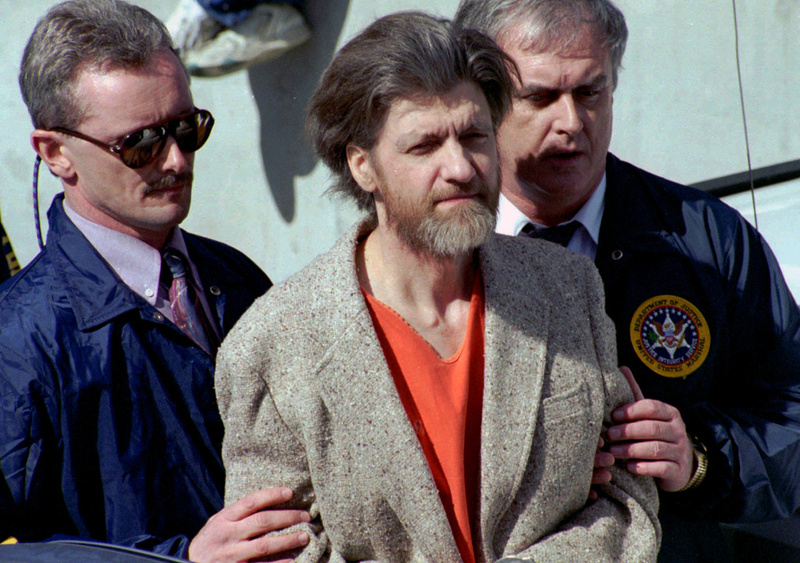 Ted Kaczynski, the notorious "Unabomber," carried out a nationwide bombing campaign between 1978 and 1995 that killed three people and injured 23 others. Experts say bombers generally tend to be more intelligent and meticulous than other killers — Kaczynski fit the profile. He was a child prodigy who entered Harvard at age 16. After earning his doctorate by age 25, he moved to a remote location in Montana. He started his bombing spree in 1978 at what later was revealed as a personal campaign against modern technology and industry. 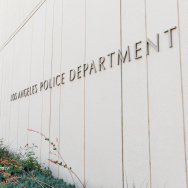 After he sent a 35,000-word manifesto to several publications, his brother, David Kaczynski, tipped off authorities that the writing was similar to his brother's, eventually leading to an arrest in 1996. He is serving multiple life sentences in the nation's most secure supermax prison in Colorado. The Unabomber investigation was one of the longest and most expensive cases in FBI history. 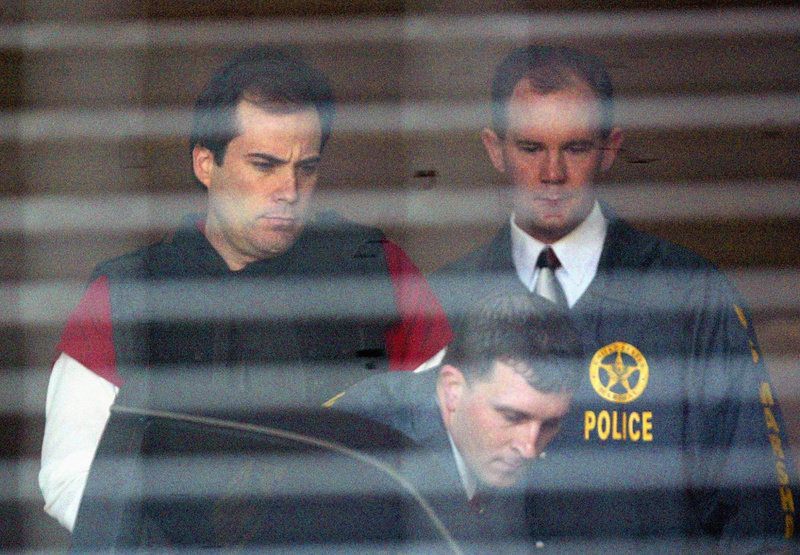 Eric Rudolph, left, is led to a waiting police car by U.S. Marshals as he leaves the Jefferson County Jail for a hearing in Birmingham, Alabama. Between 1996 and 1998, four bombs exploded in Atlanta and Birmingham, Ala., killing two and injuring more than 100 others. These bombings set off a five-year manhunt that eventually led to the arrest of Eric Rudolph, now known as the "Olympic Park Bomber." Rudolph's first attack took place at Atlanta's Centennial Olympic Park during the 1996 Summer Olympic Games. He then went on to bomb an abortion clinic and lesbian nightclub in Atlanta, and a women's clinic in Birmingham. Rudolph plead guilty and is serving life in prison in Colorado. Lucas Helder is escorted by federal authorities from a county jail in Nevada. 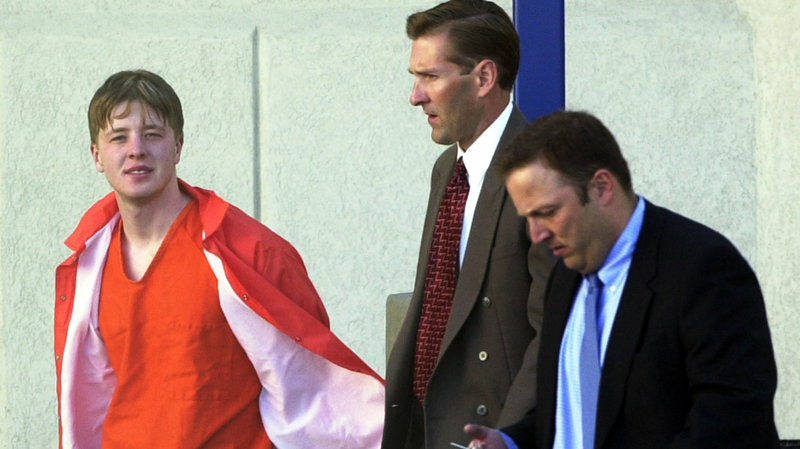 The "Midwest Pipe Bomber" carried out a five-day, cross-country bombing spree in 2002 that injured six people. Lucas Helder, a University of Wisconsin-Stout student, was arrested and accused of the crimes. 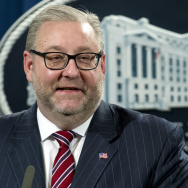 Police say he confessed, but he was eventually found incompetent to stand trial and remains in a federal institution in Minnesota. 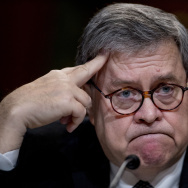 He has also been called the "Smiley Face Bomber" for what police say was his plan to map out a grinning face across the United States with his 18 mailbox bombings. 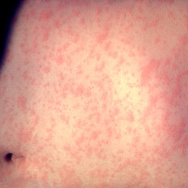 Devices were placed in Iowa, Illinois, Nebraska, Texas and Colorado.